Here’s some pics of my Trail Slayer. You make awesome products and your customer service is fantastic! The car works great and I love the way it drives. 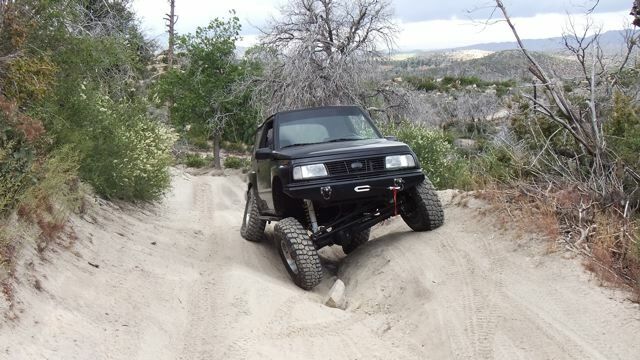 This is my build list: 95 Tracker, 5.71 Gears, ARB’s front and back, Trail Slayer kit with Toyota axles, 4.24 T Case with SYE kit and CV drive shafts, Custom bumpers and sliders, Warn XT40, 33 X 10.50 BFG KM2’s on Method wheels. Thanks for all your help and advice with building my rig.